Alpina says the new B7 will hit 60 mph in 3.5 seconds, 0.1 second quicker than the outgoing car. Given that we hit 60 in 3.4 with the previous model, we bet the new B7 will actually be in the 3.3-second range. But the bigger news is the increase in top speed. 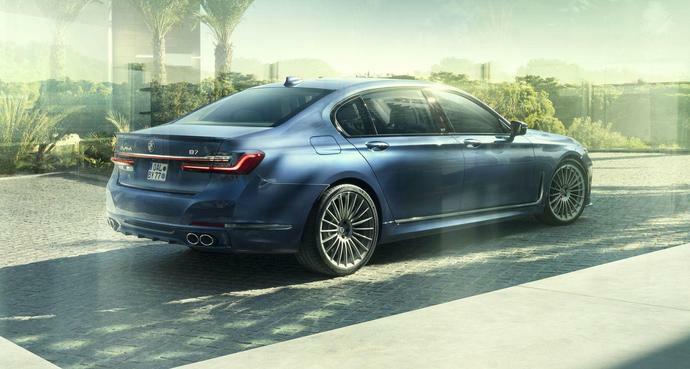 Alpina claims that the B7 will hit a whopping 205 mph, up from the old car's 193-mph top speed. That would make it the fastest sedan you can buy, beating out the 204-mph Dodge Charger Hellcat. The B7's top speed is also 50 mph higher than that of BMW's 600-hp, V-12-powered M760i (which will only hit 60 in 3.6 seconds, according to BMW).